An Ijaw pressure group has reacted to claims that the former Nigerian president, Goodluck Ebele Jonathan created the rampaging Niger Delta Avengers to haunt the administration of President Muhammadu Buhari. 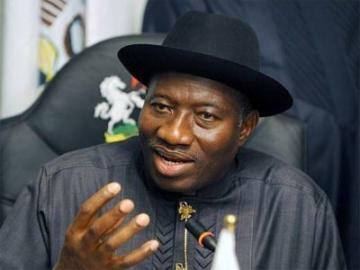 The umbrella body of Ijaw youths, the Ijaw Youth Council Worldwide, has described as untrue allegation by an ex-militant, Israel Akpodoro, that former President Goodluck Jonathan founded the Niger Delta Avengers, Punch reports. NDA, a new militant group in the Niger Delta, has unleashed mayhem on the region, blowing up oil installations and pipelines. Reacting to the allegation, IYC spokesman, Eric Omare, said in a statement on Sunday, It was nonsensical to imagine that Jonathan, who conceded defeat and congratulated his opponent even before the final result was announced, would contrive such a plan. The IYC said, “The attention of the group has been drawn to a statement issued by one Israel Akpodoro, who claimed to be the National President of National Coalition of Niger Delta Ex-Agitators alleging that former President Jonathan founded the Niger Delta Avengers. “The initial reaction of the IYC was to ignore the said statement considering the fact that the said Akpodoro is unknown and has no pedigree in the Niger Delta region. “However, we have consistently been inundated with calls and messages by concerned Nigerians all over the world as to the true position as far as the allegations are concern. This response is to set the records straight for the benefit of the reading public. “The allegation that the NDA was formed by Jonathan in a meeting he attended in January 2015 preparatory to the 2015 general elections to make the country ungovernable for his successor is absolutely untrue. “It is nonsensical to imagine that former President Jonathan who conceded defeat and congratulated his opponent, current President Muhammadu Buhari, even before the final result was announced would make such a plan. “In the first place, the January 2015 meeting of ex-Agitators and stakeholders in the region was not attended by Jonathan and the meeting never resolved to make Nigeria ungovernable for President Buhari. The IYC recalled that when Buhari, the then presidential candidate of the All Progressives Congress came to the southern part of the country to campaign, especially the South-South, he was warmly received by his party supporters and traditional rulers that he visited. It said specifically that when Buhari visited Bayelsa State, home state of former President Jonathan, the group even took the extra step of providing security to ensure that the campaign was peaceful in order not to embarrass Jonathan and the people of Bayelsa State. It, however, said that reverse was the case when Jonathan went to the North to campaign as he was stoned and attacked by hired youths and thugs allegedly sponsored by opposition politicians in that region.